I wish I had some more of popsicles right now, or at least that I'd had them last week. I'm not sure if you heard, but Melbourne had a serious heat wave last week. It was unpleasant. The top of this (fairly phallic) popsicle is cherry and the bottom is vanilla. Holy delicious. This post it notes were left on my desk by the previous occupant so last week I took a moment to fill one of them out. This is generally how I feel about you. For Christmas, I was given tickets to see A Night with Federer and Friends, which was a charity night for Federer's charity. He played a full match against Jo Wilfred Tsonga. It was so much fun. 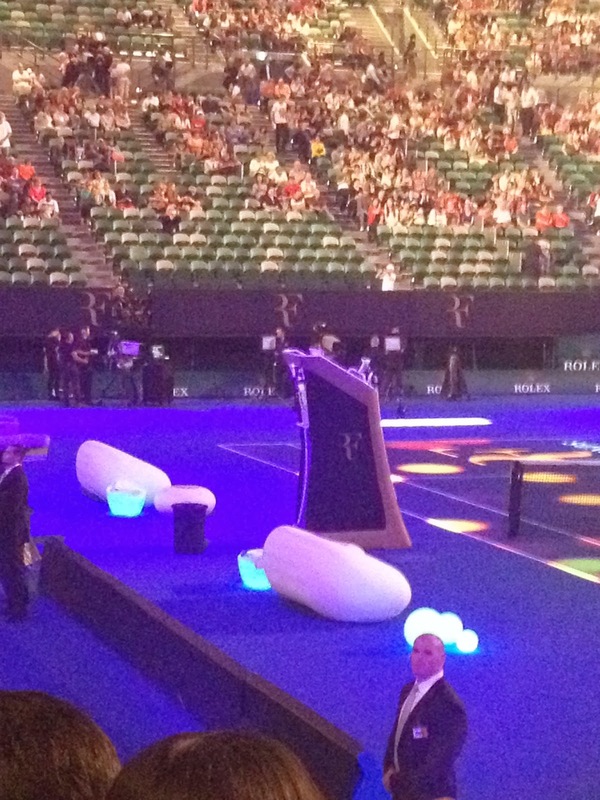 Although Federer's taste in furniture left something to be desired. Here he is, the majestic gazelle. 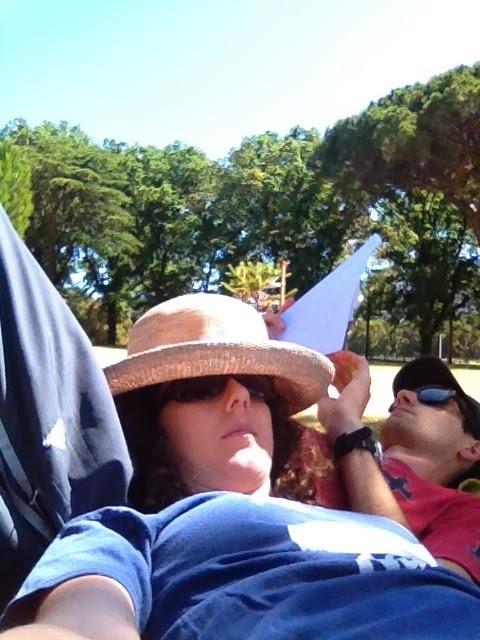 We took some time out to do some reading in the park before the heat wave hit. This is a few days into the heatwave. I'll take a moment to pat myself on the back about how cute my outfit is considering how freaking hot it was. This is after a day of work and struggling through public transport (which in Melbourne goes to hell when it gets hot). How have your weeks been looking? Say, that outfit is cute! Here's hoping this week is cooler . . . melting really is no fun at all! . . .
You have heat waves there and we had snow here last week. Crazy world isn't it?? Sigh, you're not the only ones you were suffering heat wave conditions. But Jo'burg's heat broke today! Hooray! The last picture of you is super cute. Hey, do you have a mole on your right armpit!? I have one on my left.. right smack in the middle. I used to be so embarrassed by it as a kid. Now, it's me! Great pics D. It's been scorching here in JHB as well. So hot we can't even sleep in peace. Love the outfit! AND I heard about the heat wave. It sounds like AZ during the summer. Not fun! Its like -11 here this morning..so good to warm up to these photos. Such a fun skirt too!